How Do You Tackle Health Care Reform? One provision at a time, of course! Everyone is talking about the new Affordable Care Act. Everyone is reading about it. Everyone is writing about it. Everyone is learning about it. But what is anyone doing about it? Prior to the Supreme Court’s decision on June 28 to uphold the mandate requiring most U.S. citizens and legal residents to maintain minimum health coverage, many individuals and businesses put off action in case the law was overturned. Now that the results are in, many people are taken aback wondering how to go about implementing the vast array of elements that make up health care reform. 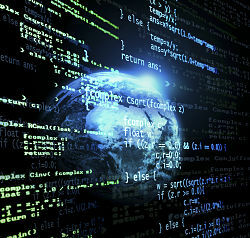 As the last group of companies is subject to the final phase of the Securities and Exchange Commission mandate this summer, we are reaching a major turning point for eXtensible Business Reporting Language implementation in the U.S. Investors now have a full data set accessible for their analyses as all information from a company’s financial statements, as well as the notes and schedules, are individually tagged at a detailed level. This means investors now have the ability to search and access specific pieces of information for all public companies. Hi! My name is Joseph Farco and I’ve recently completed a summer internship with the AICPA. I assisted the Communications and Media Channels team in the New York office. While working with the AICPA has not only allowed me to learn more about numerous issues facing the profession, it also has helped me develop one of the most important skills for any business professional: communications. From a young age I always knew I wanted to go into business, because I visited the New York Stock Exchange once a year on Kids’ Day. How was I allowed to go to this event on a yearly basis? Well, my father has worked on the floor of the exchange since 1980. His desire to see me do well in life combined with my annual visits to the NYSE, fueled my fire to go into business. This led me to mostly business electives in high school which included two college level accounting classes. I was surprised with how much I enjoyed those classes and I became interested in learning more about accounting. My passion for mathematics led me to embark on a journey to Seton Hall University, where I graduated in May 2012 with a BS in Accounting. My future plans are to pursue an MBA in Finance and eventually sit for the CPA Exam. My long term goal is to one day open up my own practice. In 2010, many sectors of the U.S. economy began to improve from the Great Recession—however, small businesses lagged behind, largely as a result of having trouble raising the capital they needed in a still tenuous financial recovery. This led to the advent of a concept called crowdfunding. 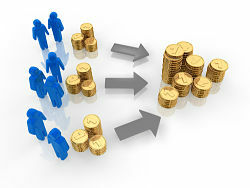 Crowdfunding—inspired by crowdsourcing—describes the collective cooperation, attention and trust by people who network and pool their money together, usually via the Internet, in order to support efforts initiated by other people or organizations. If you have had your business for any length of time, you know the importance of using the Internet for promotion. Even if you work for a financial firm, you may be called upon to participate in the online promotion of initiatives for the corporation. One of the easiest ways to do this is by using social media sites like Facebook, Twitter and LinkedIn. These sites offer ways to widen your customer base, network with other professionals and communicate easily on forums that people already use on a wide scale anyway. 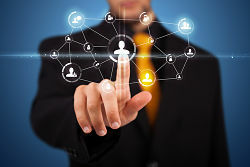 Many people have separate social media accounts for personal and professional use, and making the distinction between the two is key to establishing a professional online reputation. Understanding the rules that apply to personal and professional realms is vital to making the most of social media outlets in both respects. Here are a few suggestions on etiquette when it comes to social media ventures. A common mantra when discussing programs and services to improve an individual’s financial understanding is “One size does not fit all.” In addition, there’s no one age where financial education should begin and end. This was abundantly clear during the Improving Financial Literacy and Capability: What Works? conference organized held earlier this summer. This day-long program presented the innovative ideas and work of the Financial Literacy Center, a joint effort of the RAND Corporation, Dartmouth College and the Wharton School. Each presentation provided insights in to various approaches to and workable solutions to improving financial literacy for consumers of all ages. The day’s panels highlighted a variety of research, programs and technologies, and all presentations can be found on this website for the conference. I want to share with you highlights from the presentations which made up the panel I moderated: Financial Literacy Among Young People. The AICPA outreach efforts in this area include 360 Degrees of Financial Literacy and Feed the Pig, which encourages 25-34 year olds to improve saving habits for long-term financial health. However, as we know, waiting until your mid-twenties to begin thinking about money and learning about good financial habits puts you at a serious disadvantage for financial security as an adult. Last week, I attended the AICPA E.D.G.E. conference in Orlando, Fla., and was excited to see some conference attendees all-a-flutter over Twitter. In fact, several speakers and attendees were chatting and getting to know each other on Twitter before the conference even started. When I arrived in the exhibit hall, the first person I met, one of the conference speakers, said, “Hey. I recognize you from Twitter. It’s so nice to meet you in person.” Next, I met an exhibitor who said the same thing; he had immediately recognized me from my profile picture. Since I had already had interactions with both of them online, we had an immediate rapport when meeting offline. Strengthening online relationships by connecting in person is just one of many ways using Twitter can enhance a conference experience. While donating a car to a charity can get you a nice deduction, it can be complicated and confusing. Kars4Kids, a national car donation charity, interviewed Jerry Love, CPA, who has extensive experience consulting clients on donating cars to charities. This is a summary of the interview; the full interview can be found on AICPA.org. 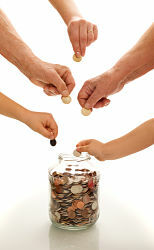 Kars4Kids: How important is it for a donor to document the donation? JL: The Internal Revenue Service has gotten very strict recently and will disallow deductions or impose fines if a vehicle donation is not documented properly. 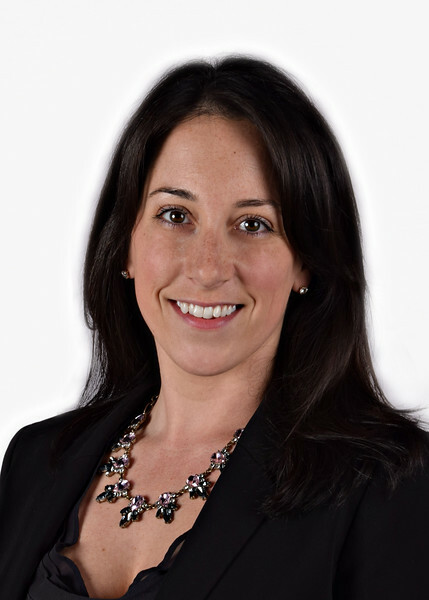 Kars4Kids: What is the proper documentation that donors should get from the charity? As with so many issues related to the accounting profession, opportunities to engage new clients or re-engage existing clients abound when standards are updated or changed. Such is the case with Service Organization Control Reports SM. The guidance for service auditors in the old Statement on Auditing Standards No. 70, or SAS 70, as it was known, was replaced effective June 15, 2011, by Statement of Standards for Attestation Engagement No. 16, which can give your firm and its clients a new set of standards to meet user needs. There is no way to sugar coat it, readers - we are all getting older. I remember when I was a teenager, I would complain about the aches and pains I would get from playing sports and my father would say to me with a wry smile “wait until you get older.” My health was not an issue I wished to consider back when I was a teenager, and I don’t particularly like thinking about it now – but there is certainly no getting around the fact that the older we get, the more important it is to have a plan in place to deal with health issues as they arise. 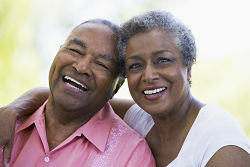 According to the U.S. Census Bureau, between 2010 and 2050, the U.S. is projected to experience rapid growth in its older population. In 2050, the number of Americans aged 65 and older is projected to be 88.5 million, more than double its projected population of 40.2 million in 2010. This means that an increasing number of Americans will be making important decisions about their long-term health in the coming years. It’s important for any CPA firm to have a strong presence online. According to Local Search Usage Study: Bridging the Caps, From Search to Sales, 70% of consumers go online first for local business information. Are potential clients finding your firm? Not only do you want to be easy to find in cyberspace, but you also want to present yourself as an expert and trusted financial advisor. A simple website is a start, but is not enough to give you an edge in today’s competitive environment. In order to find new clients, and keep the ones you already have, focus your efforts on ways to boost your online presence. I have found that even small efforts go a long way toward a more prolific online presence. Here are four steps to raise your online credibility and widen your client base in the process. 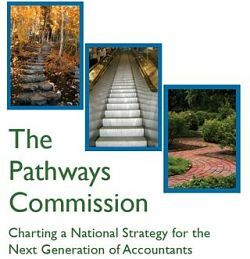 Both Accounting Today and Inside Higher Education covered the release of a new report from the Pathways Commission on Accounting Higher Education. The Commission, put into place in 2010 and co-sponsored the by the AICPA and the AAA, was tasked with studying the future structure of higher education related to accounting and developing recommendations to engage and maintain the strongest possible academic community in accounting. Their report summarizes two years of collective effort by more than 50 individuals representing a diverse array of stakeholders in the accounting profession. The report presents seven main recommendations and provides ideas on implementation efforts. The recommendations range from attracting a more diverse population of students to the profession to reforming accounting education so that teaching is respected and rewarded. Additionally, the commission recommended establishing an implementation process to address their suggestions by creating a continuous, sustainable process. With the importance of ethics and non-financial reporting rising on the global agenda, accounting professionals are in a unique position to make an important contribution to creating a sustainable ethical operating environment. The AICPA and CIMA have developed a number of resources to assist CPA, CGMAs in guiding their organizations to long-term sustainability and success, but these resources shed light on the challenges many CPA business clients face, and so apply to CPAs in a firm setting as well.